darkSpyro - Spyro and Skylanders Forum - Skylanders: Lost Islands - Will there be an update? darkSpyro - Spyro and Skylanders Forum > Skylanders Mobile > Skylanders: Lost Islands > Will there be an update? I've tapped on my iPad and iPod for awhile now, gathered enough gold and gems to have a superior island, With almost every alter ego unlocked, but still no where near a level 45 island. (I'm a level 38 if you were wondering.) What I am saying is that this game, if I can call it a game, has not seen an update since the dark and light elements were reviled. And if anyone still checks on there islands knows the alter egos are still the same as last year, there is no timed events, and no deals on companions(Not sure about that since I own all of them, except digs and gurglefin) gold, gems, and wish stones. Sure you can get 30% off on premium houses, stores, and 50% off on normal or variant Skylanders. 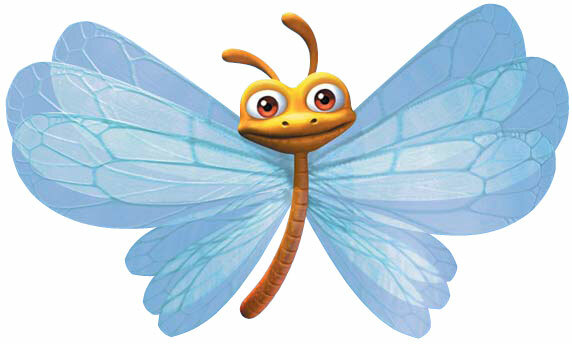 But I am hoping (And hope is the last thing on my mind) that the "game" gets and update from Skylanders:Superchargers. They could update it or delete the whole game putting my hours of checking on the thing pointless. (anything I do is pointless anyways.) so do you care if they update lost islands or don't care cause you rather control your Skylanders than look at them walk around and make them do tasks that takes time....and also what are your experiences so far you like it or hate it. There are no web codes in the Supercharger figure packs. That doesn't bode well for a game that hasn't been updated in four months. It won't be "deleted", it works just fine right now. No SCC codes ? Weird . Considering Vicarious Visions are the developers of both Superchargers and Lost Islands, I get the feeling that they just focused their whole team on Superchargers (especially considering that they are developing the iOS version as well). Once things settle down, and the first few patches are done, I expect them to get back to Lost Islands. I have also seen 50% discounts for a few companions (such as Batterson) in the daily deals. I am not worried yet. The discounts are random, they appear when they're not updating the game. There're are no codes on the stickers or available by portal in the console version. So Superchargers have no codes. So it doesn't look like there will be any updates for them. They could still do it and require you to get a Bluetooth portal, but I'm finding it less likely. Cloud Patrol didn't get any updates after Giants. Battlegrounds ended with Swap Force. It looks like Lost Islands will end with Trap Team. Now the focus will be on Battlecast. I was thinking that too . Helps to keep the floating webcodes under control . You can add the skylanders with a portal so the codes are not the thing that is worrying me. No past update the last months are the history of other skylander game is much more worrying. We will see in a couple of weeks. With a bluetooth portal. That you need to get with the Tablet starter packs or Battlegrounds which has been dead for much longer already. This game is advertised as allowing you to toy link the figures without the need of a portal. Now that the game is out, I'm not expecting it in a few weeks or ever. No news,no updates planned from the response from support, Orville hasn't shown up since the updates stopped meaning they really aren't looking into this. Battlecast uses your camera to scan in the cards. They can have Lost Islands do the same thing to link your characters. I doubt it. The cards probably have some unique identifier on them that the camera reads. Sort of like a hidden QR code. It's how other similar apps work (i.e. Color Alive). It would be much harder to scan in figures.